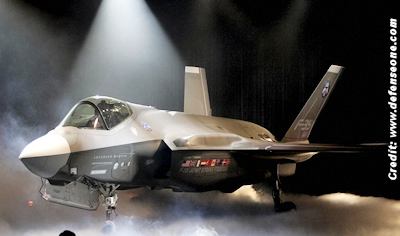 In this July 7, 2006 photo, the Lockheed Martin F-35 Joint Strike Fighter is shown after it was unveiled in a ceremony in Fort Worth, Texas. Planes and warships just got a lot harder to see with microwave radar. A group of scientists from China may have created a stealth material that could make future fighter jets very difficult to detect by some of today’s most cutting-edge anti-stealth radar.